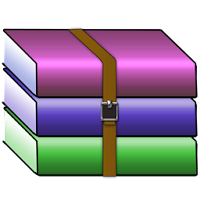 Winrar Password Remover makes use of its powerful dictionary attack to crack the passwords of Winrar archives.The password of winrar is very useful. Sometimes it make trouble in our files that we can't open the file. Here is simple a trick to remove winrar password. just download to use. it is very simple to use this software.If you forget the password of an RAR archive, RAR Password Unlocker may be your best choice.The program is an easy-to-use RAR Password Recovey , because it has a clear and handy interface. Ok, please follow next steps to learn how to recover lost RAR password with RAR Password Unlocker. There are three attack types in our program for you to recover RAR password:brute-force attack, Brute-force with Mask attack and Dictionary attack. If you choose brute-force attack, the program will try all possible combinations. Smart Mutations allows you to try combinations among passwords in the dictionary. Besides, you can add your own dictionary to the program. Select Add Dictionary File and import your own dictionary.